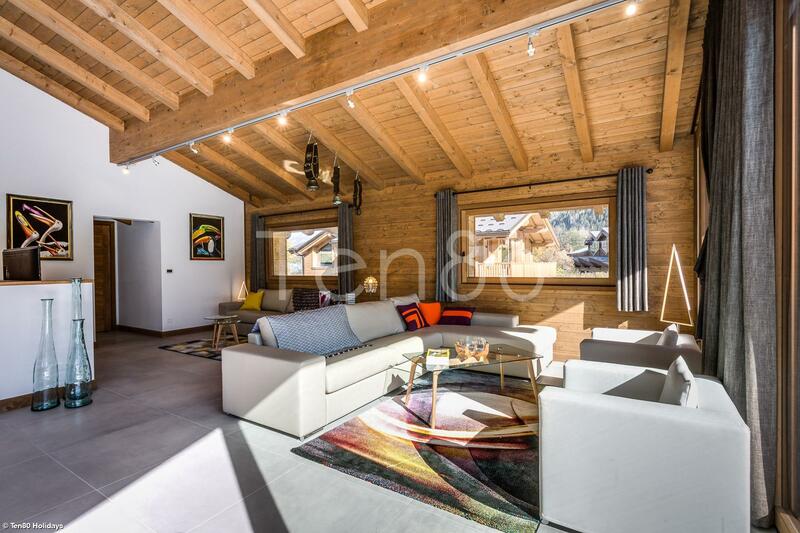 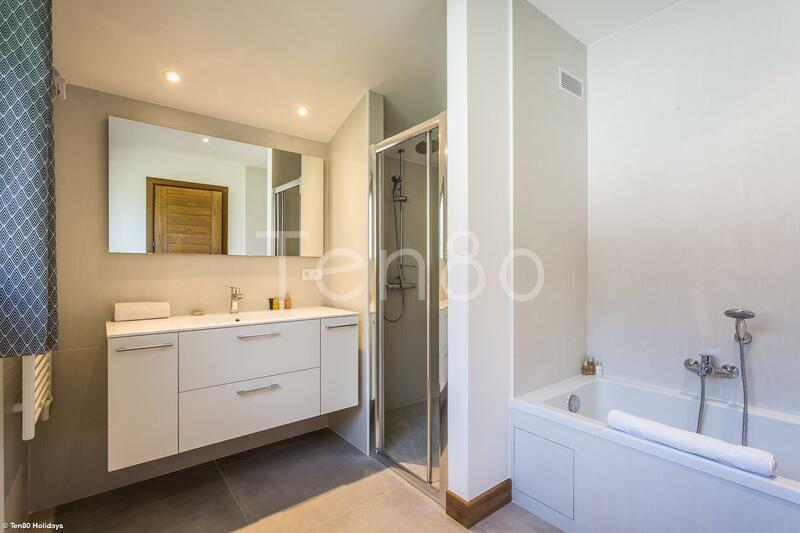 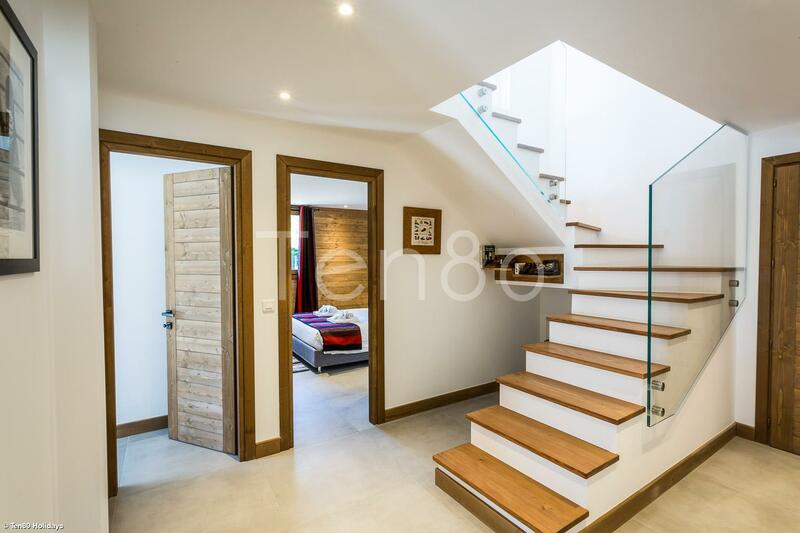 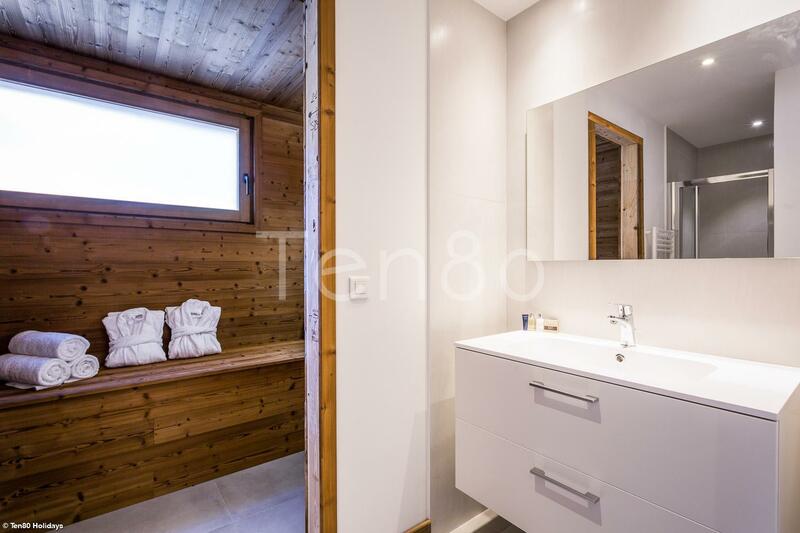 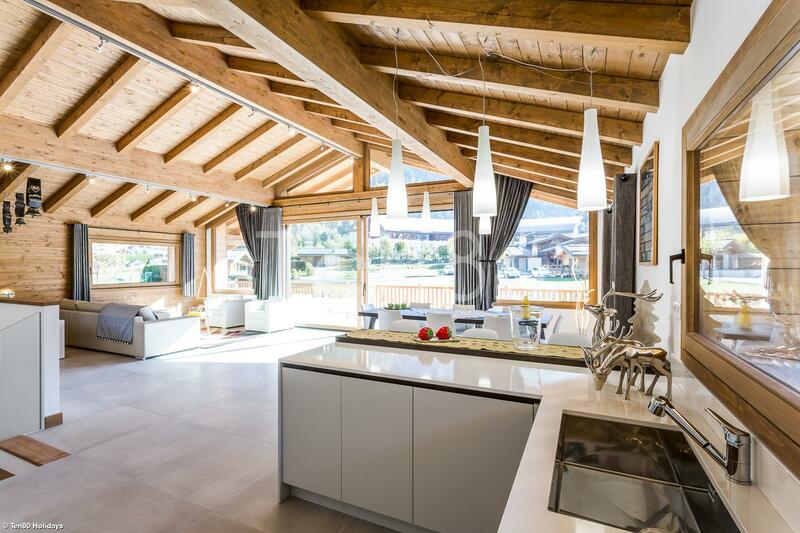 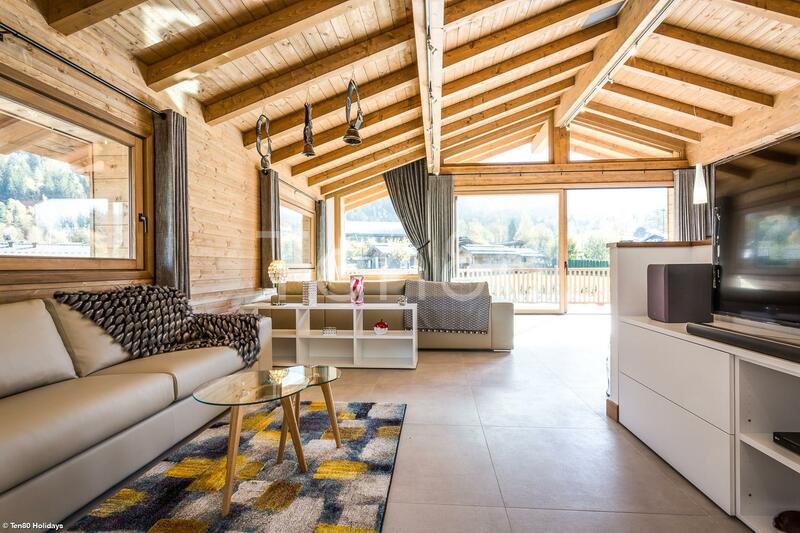 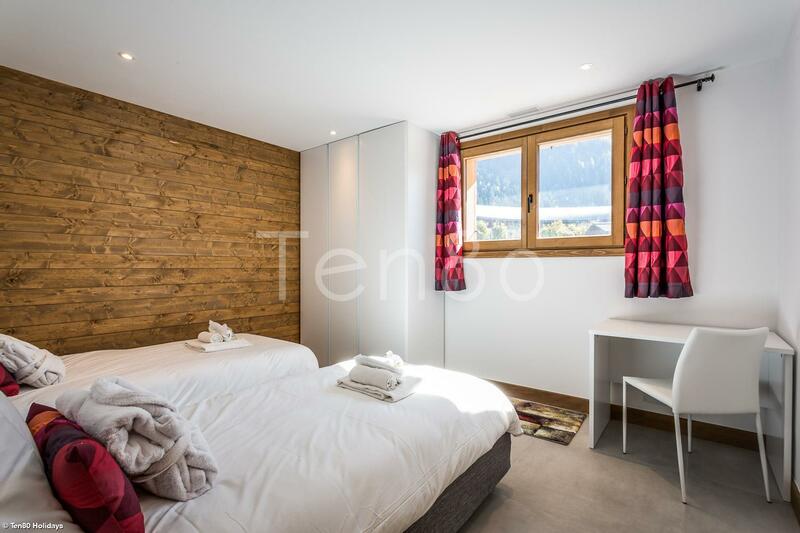 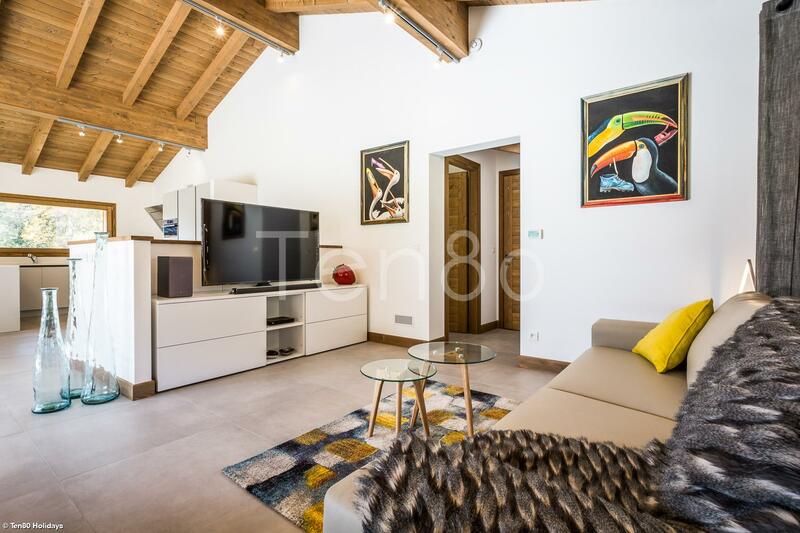 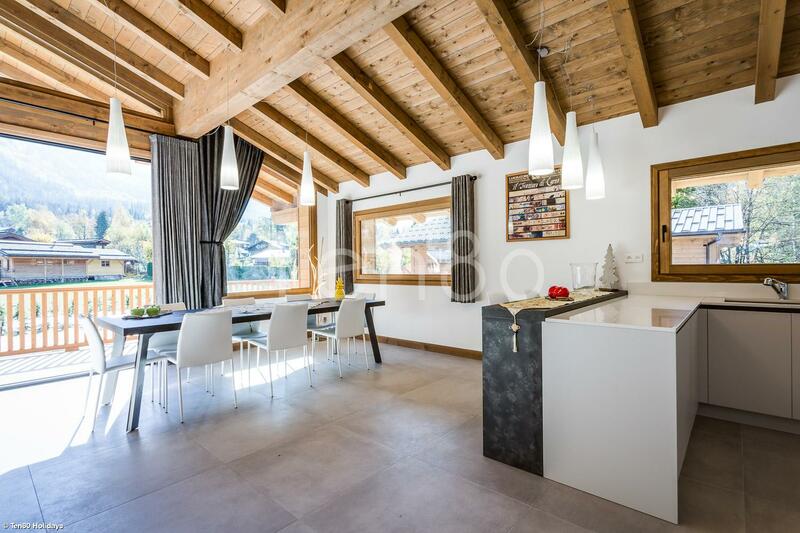 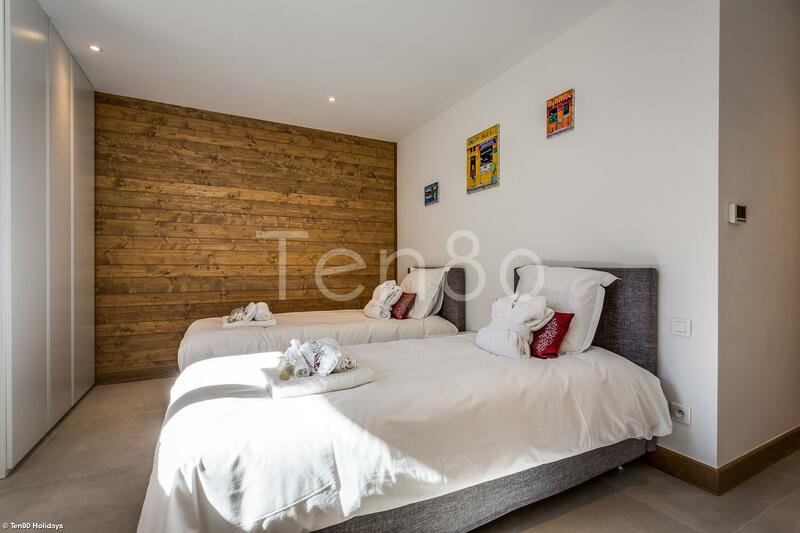 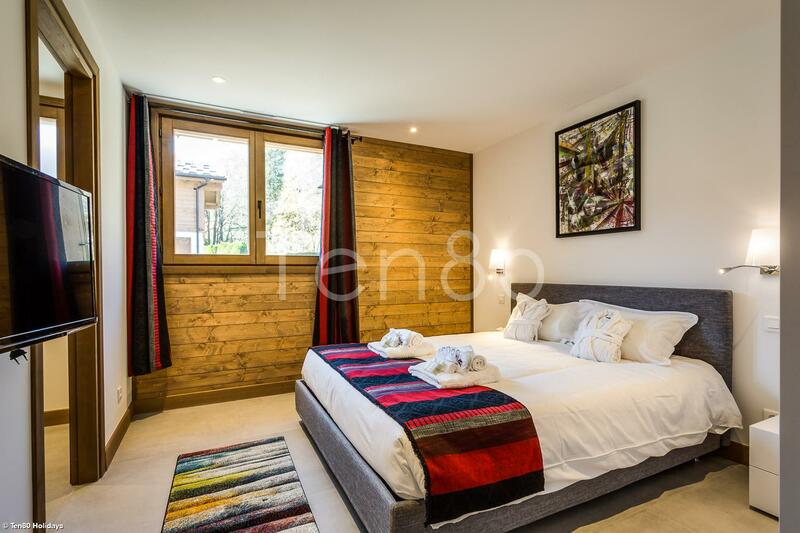 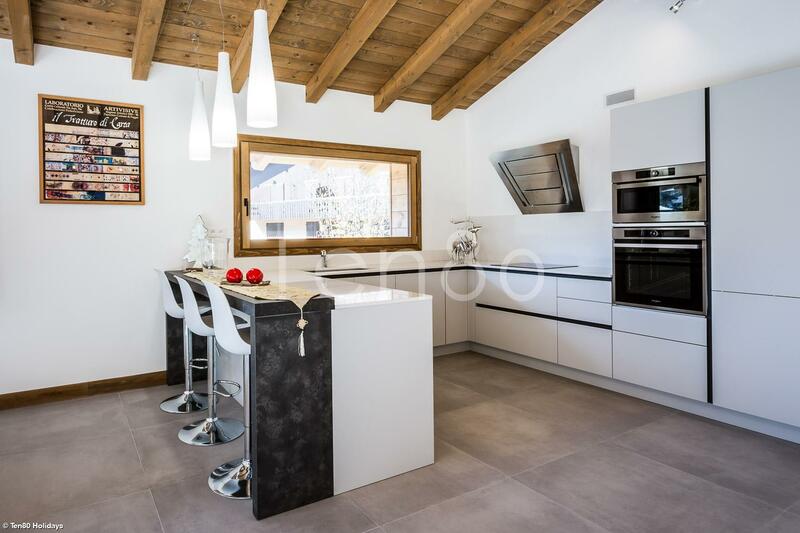 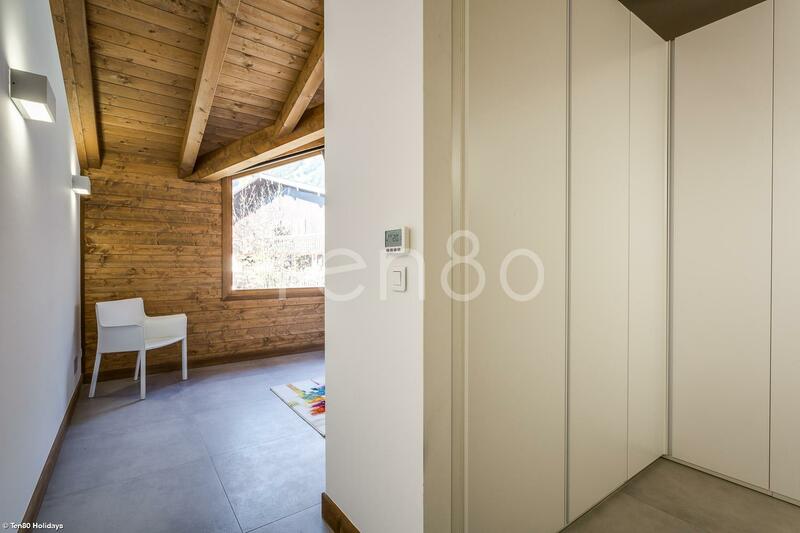 This lovely brand new 4 bedroom chalet is one of three identical that have been newly built on a huge plot of land that used to be the main camp ground in Chamonix. 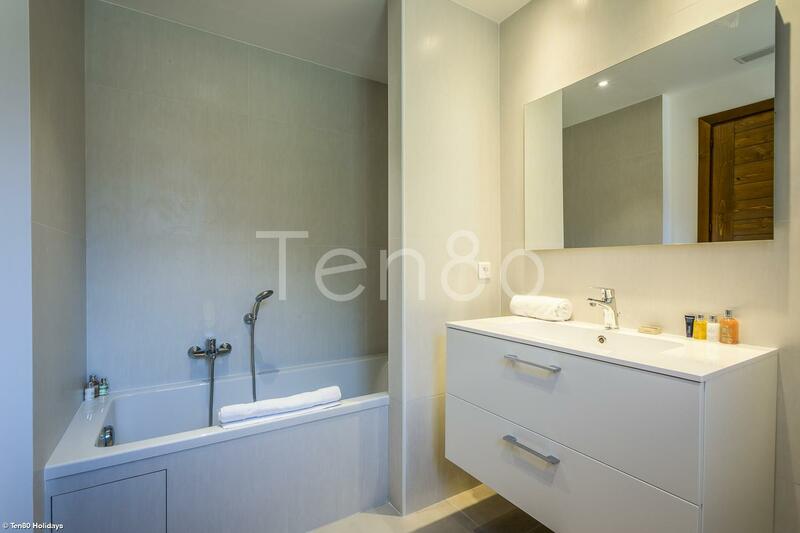 The top floor has the master bedroom with ensuite dressing room and bath/shower room. 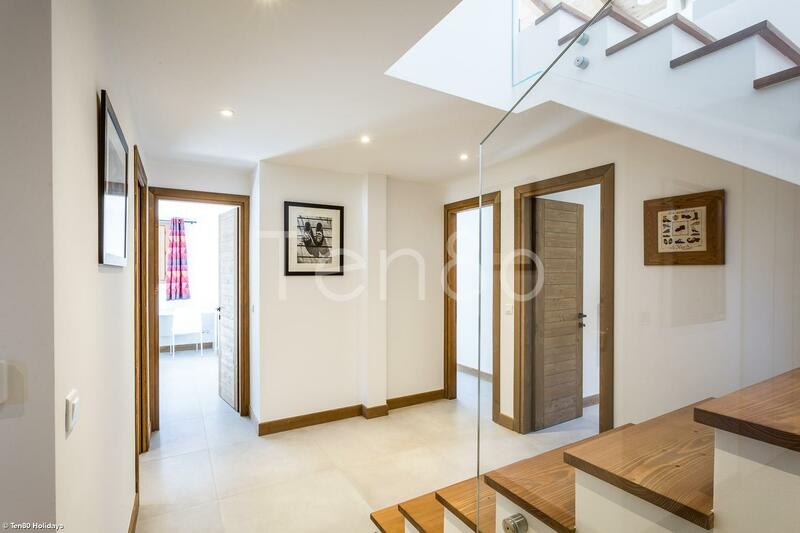 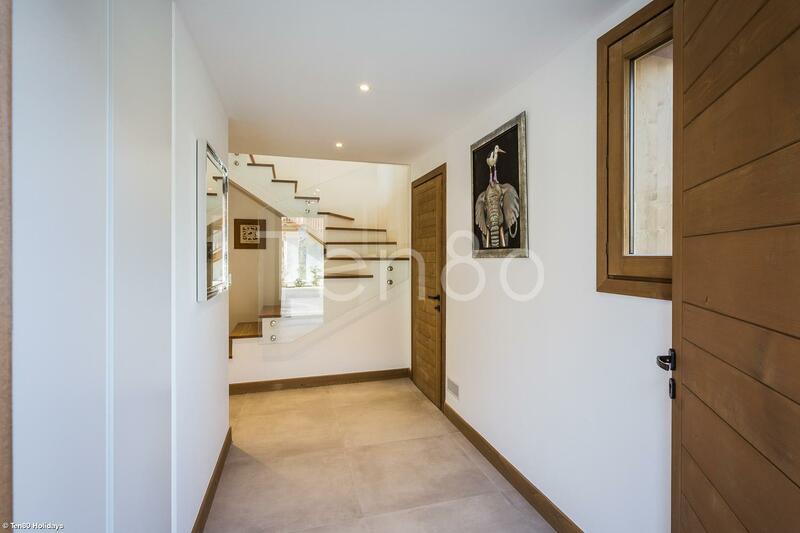 The rest of the floor is dedicated to the open plan living area which is split into four main areas with a central staircase: kitchen, dining room, lounge and separate TV area. 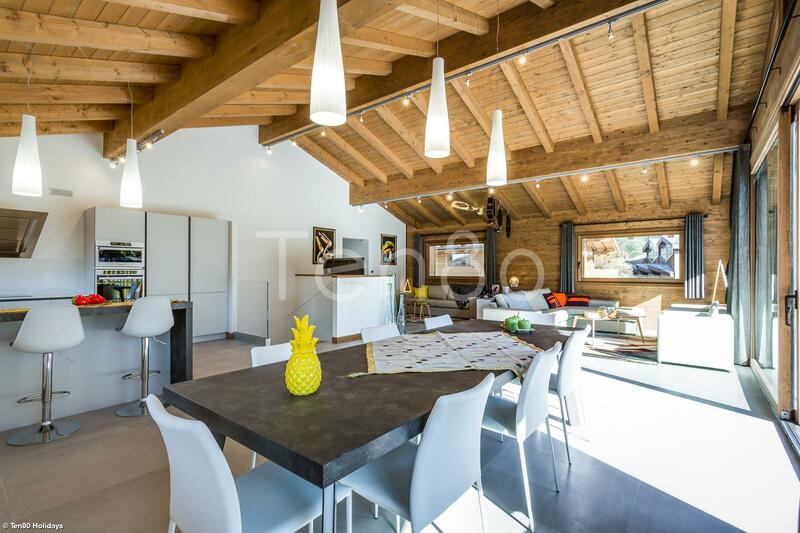 This whole area has delicious volumes and is lovely and light. 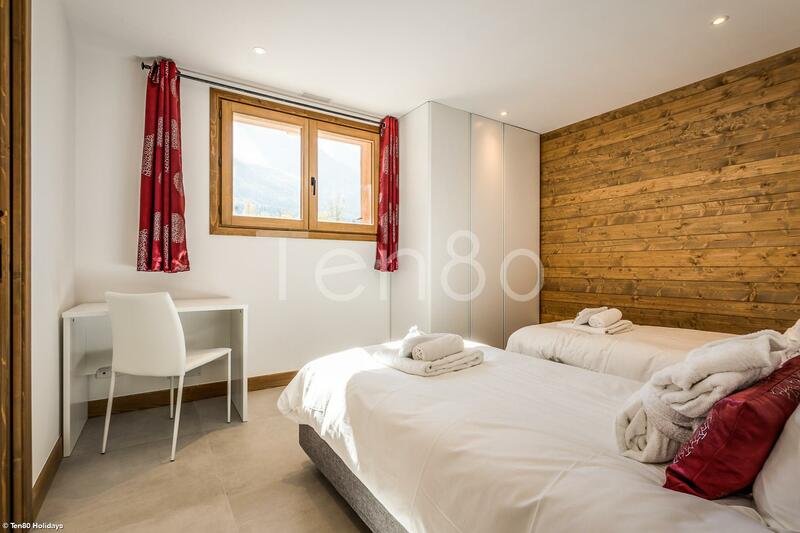 The ground floor has three good sized bedrooms that are all en suite, a sauna with view, garage and boot and ski room. 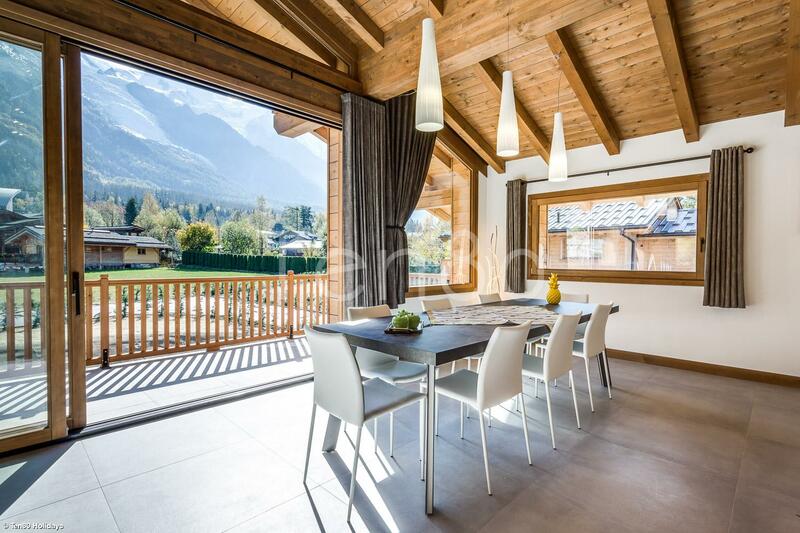 Private parking, unrestricted views through huge sliding glass doors and only a 5 min walk into town make this a great chalet choice for both families and friends for a seasonal rental. 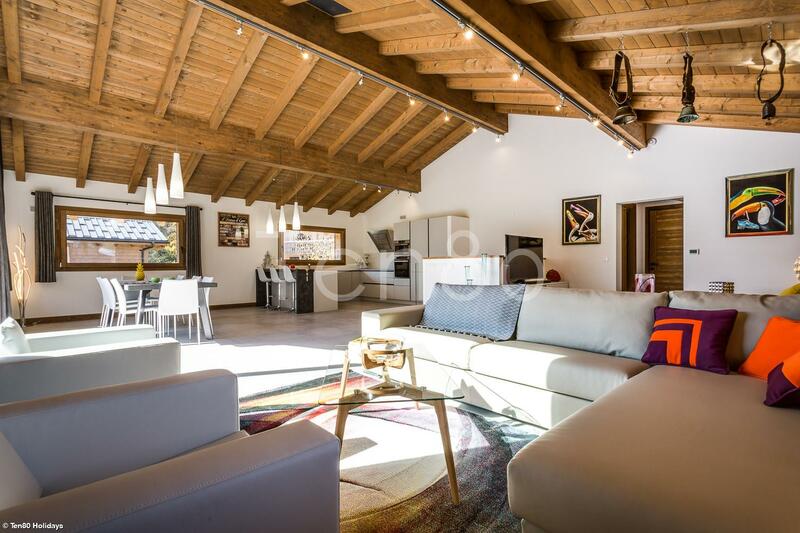 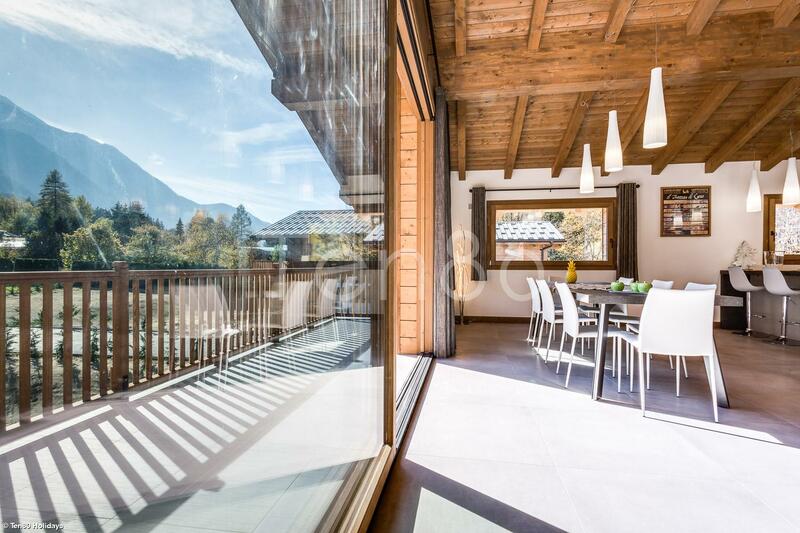 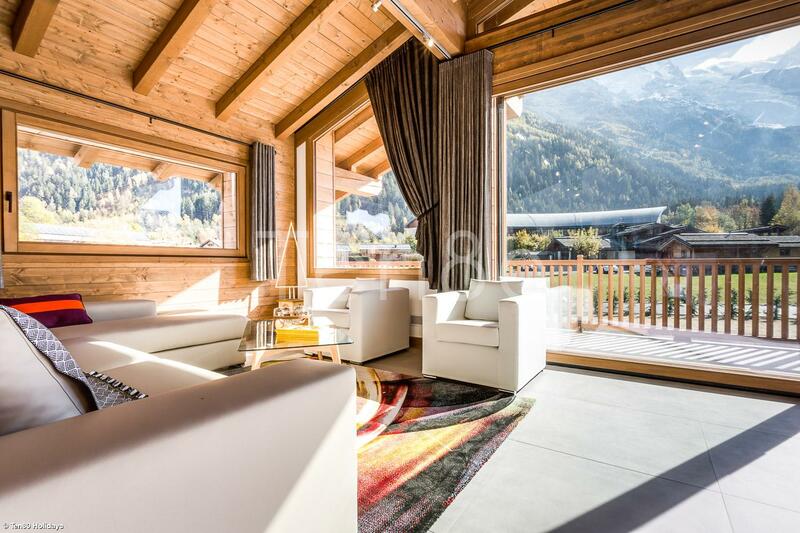 This chalet makes a lovely addition to our portfolio and is truly spectacular. 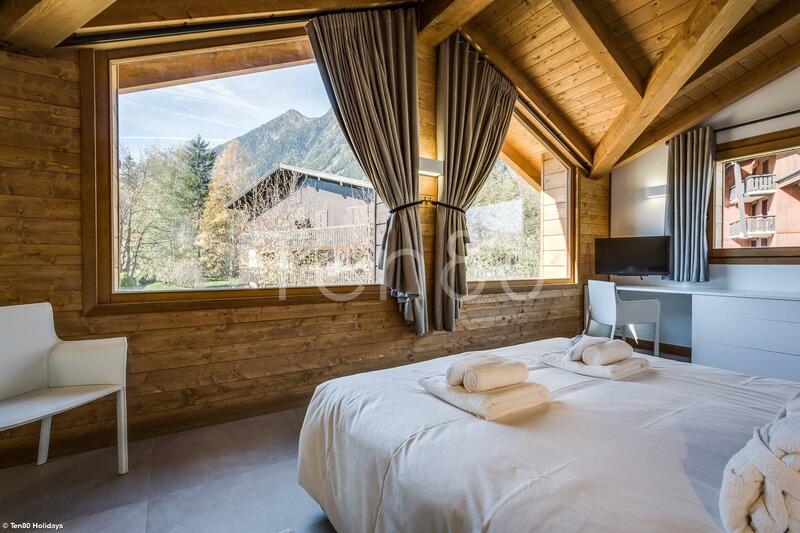 The chalet is close to Chamonix city center and to L'Aiguille du Midi cable car. 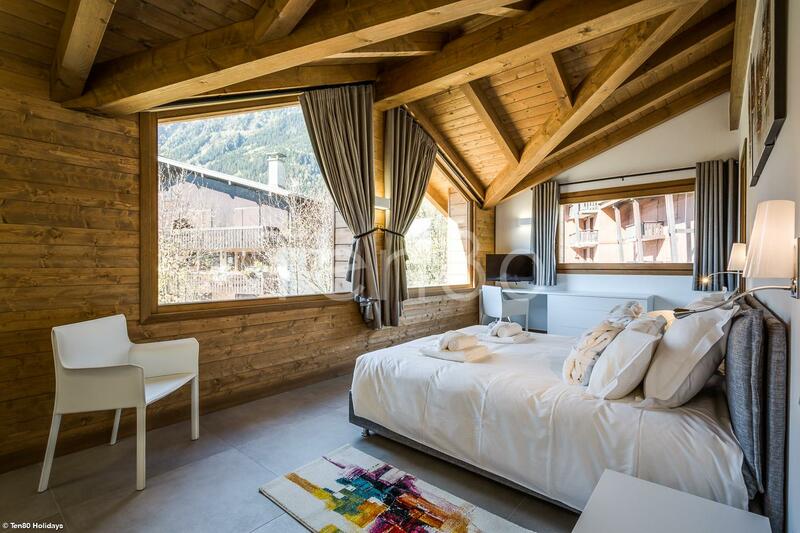 Sharing our local network to guide you to towards the best local shops, restaurants, ski monitors and much more. 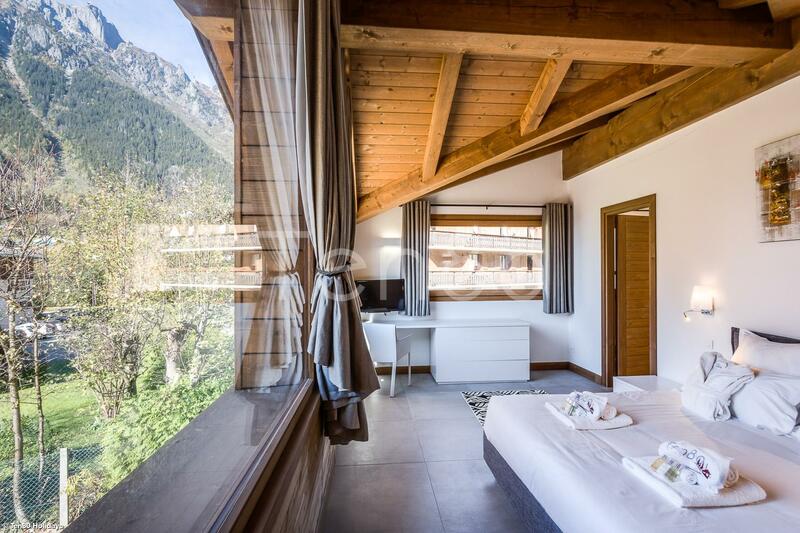 We are able to provide any other services you need to create the perfect bespoke season: supply you with clean linen, provide additional cleaning, fridge filling, hire and deliver mountain equipment, organise private chef, baby-sitter….